No digital sea is more tumultuous than that of social media, and recent changes made to Snapchat in 2016 have only illustrated just how quickly even the largest social media entities can shift their direction. Users have wanted a way to save snaps for just as long as Snapchat has been relevant, and thanks to the new Memories feature, there are! The idea of “saving snaps” has a fairly sordid history, however, and in order to provide you with the entire frame of this odd scenario, we’re going to spell it out piece by piece. As we often do on Appamatix, we’re going to look at the implications of this new Snapchat feature when set against the backdrop of everything that’s come before it, in an attempt to discern what it means for both you, the users, and the app’s future in general. Read on, for all of the details! If you haven’t downloaded and signed up for Snapchat, let me say outright that you’re missing out on one of the most significant social media happenings of this decade. While giants like Facebook and Instagram are no less popular, Snapchat has given people a new way to document their fast-moving lives, and perhaps more than any other social media platform, it encourages its users to tell stories. Sure, Facebook, Instagram, and Twitter all allow users to upload videos of a certain length, but Snapchat adds a certain amount of pressure by making your words, images, and videos count. With Snapchat, you only have a few seconds to shoot and record and anyone viewing your snaps will only get the briefest glimpse of them, before your content disappears into the ether. The “self-destructing” nature of snaps has been one of Snapchat’s primary appeals, especially for its younger users, but the new Memories feature is changing all of that. For years, people have been using third-party apps and software–known as “saver apps,” most of the time–to record and store snaps on their mobile devices. This is a problem for quite a few reasons (which we’ll get into shortly), but on top of that, it flies in the face of everything that Snapchat is supposed to stand for. Now, with the new Memories feature, users aren’t going to have to turn to “saver apps” when they want to save snaps from their feed. Sort of. After playing around with the feature and reading a lot of user testimony, it’s clear that Memories is not a direct response to the problems created by third-party apps, but it does help to remedy some of the frustration that causes people to turn to them. Let’s explore the new feature, and see how it affects the Snapchat landscape. The most important thing to realize about Snapchat Memories is that it’s bringing even greater freedom to the way that we use the app. Specifically, it’s changing the way that we view our own content, and opening the gates for the types of content that we choose to share through snaps. Previously, users were only able to share images and videos that they took from within the Snapchat app. This helped to ensure that all snaps and Stories were up-to-date, in-the-moment, and represented the speed at which the app’s users lived their lives. It frustrated some people, but it certainly helped to create a unified theme across an otherwise diverse social media experience. With Memories, the entire paradigm has changed. Where you previously had to use a saver app to record and store your Snaps–thereby preventing them from self-destructing–you can now store your favorite snaps and Stories indefinitely on the Snapchat servers. Keep in mind, of course, that Memories does not allow you to store anything on your own mobile device. The security of Snapchat’s servers has never much been called into question, and the developers understandably want to keep fairly tight control over the media that’s shared on their app. However, along with the ability to save snaps and Stories, Memories also allows you to use images and videos from your phone’s camera roll in your Snaps. Before that raises any alarms about the integrity of the Snapchat experience, know that the app has a pretty great way of distinguishing between images and videos that were just shot, and those that were taken in the past. In addition to the timestamps that are added to every snap that you save to Memories (more on this, shortly), anything that you add from your own gallery or camera roll gets a distinctive border placed around it, which serves to identify it as something not taken with Snapchat. Is the new feature open to interpretation? Absolutely. Does it give all Snapchat users a greater degree of freedom in how they choose to use the app? For better or worse, it absolutely does. In order to access Memories, you’ll first have to update your app. Without the most recent version, you won’t see any of the options that we’re about to discuss! 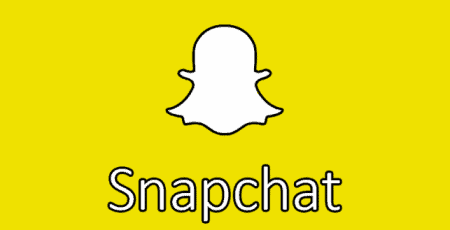 Once your iOS or Android version of Snapchat is up to date, take a gander at the main Snapchat window; specifically, direct your attention to the camera button, which should be accompanied by a brand new symbol. Swipe up on that symbol and you’ll access the Memories menu. From within this menu, you can gain access to all of the new features. Cycle through your camera roll/gallery, saved snaps, and saved stories. Within these three options, there are actually quite a lot of different things you can do! Save snaps that you’ve just taken, to be used later on in Stories. Place Snaps within the Snapchat app itself, rather than save them to the camera roll or gallery. Search through your previous snaps using keywords. It’s doubly important to know that anything saved in your Snapchat Memories section isn’t stored locally on your smartphone. Instead, everything that you choose to catalog is stored on Snapchat’s secure servers, in exactly the way that you’d like them to. Inversely, nothing on your camera roll or in your gallery is going to be saved in Memories unless you choose to import it, using the Memories feature. All in all, it’s an effective solution for many of those who once sought saver apps, but more importantly, it changes the face of how people interact with Snapchat and the media it plays host to. Of course, Memories isn’t a feature that’s going to please everyone, and saver apps are still prevalent online. In addition, they can occasionally be found on the iOS App Store and the Google Play Store, even though Snapchat is typically swift in taking these apps down as efficiently as they can. There’s a reason that Snapchat frowns on saver apps, and without any bias, I cannot recommend that people use them, either. The problems with saver apps are twofold and relate directly to some of the reasons that Memories works how it does. In Memories, all of your saved snaps are stored securely on Snapchat’s servers, rather than on your phone. Because of this, you can access them no matter which device you sign into Snapchat from, but if you’re offline, you won’t have a way to access them. This is because Snapchat’s servers are reliably more secure than your individual device, and they’re infinitely more secure than the third-party apps that people are using to locally save snaps. The other problem is tangentially related to security, but it involves the security of everyone who is using Snapchat. Third-party saver apps violate this security by allowing people to save any snap they want, as long as it can be viewed on Snapchat. This means that they’re able to save others’ snaps just as easily as their own, which puts others’ privacy and security at risk should the individual–or the third-party developer that’s responsible–be hacked. If we need actual proof of this, we need only look back to 2014 and “The Snappening,” when a third-party saver app was hacked. The result: hundreds of thousands of images and videos were shared online, many of them compromising, illegal media of underage Snapchat users. It was a gross, risque, and absolutely avoidable catastrophe that was made possible by the types of apps that let people save snaps. Hopefully, Snapchat’s Memories feature is enough to serve as a happy middle ground for people that want to save media from Snapchat, so that they can view it on their own time, on their own terms. It doesn’t provide all of the freedom that a saver app provides, but it successfully circumvents the dangerous security issues present in third-party software that interacts with Snapchat. That said, a Google search will still turn up plenty of saver apps that purportedly know how to work with the most recent version of Snapchat. Proceed with caution, knowing that mismanagement of a saver app can not only put your own privacy and security at risk but the privacy and security of anyone whose snaps you save, as well.